Pinkadots Elementary : Monday made it! Food, make up, and technology decor! Monday made it! Food, make up, and technology decor! 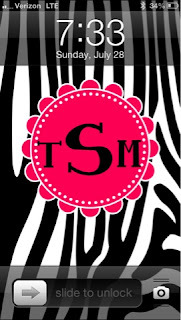 I've been so excited to post and link up for Monday Made It because I've been crafting! I needed a break from school stuff...First, if you didn't see the wreath I posted on Instagram and the blog from last week check it out. I loved it so much, I've decided to make my daughters new preschool teacher one as a back to school present! Stay tuned for pictures! 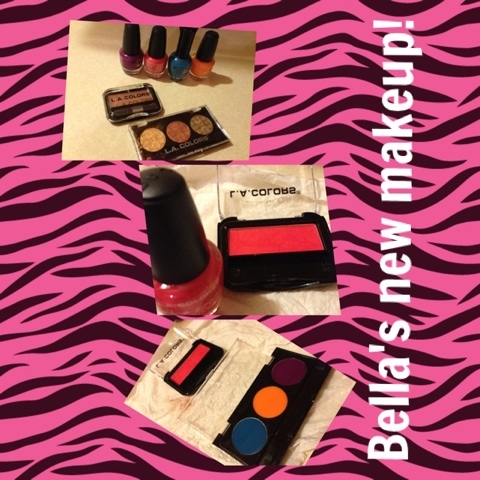 While perusing Pinterest, I found a fun post about making pretend make up for little girls. Now before you all freak out, no I don't want my daughter to grow up fast and I don't dress her like one of the girls from Toddlers in Tiaras, but she does enjoy trying on Mommy's make up! This happens mostly at bed time when she should be in bed. I hear the pitter patter of tiny feet running around upstairs. Up until recently I had no idea what she was doing. Then I spied on her one night and saw her testing out all of my make up. She also dropped about half of it and my blush, bronzed, and eyeshadow are basically just crumbs now. UGH! Soooo Robyn tested out the pin first and had great success with her daughter. We went to the dollar store and bought some cheap make up and pretty nail polish, scraped the make up out of the container, and filled it up with polish. Leave it alone for about two days and Ta da! My daughter absolutely freaked out! 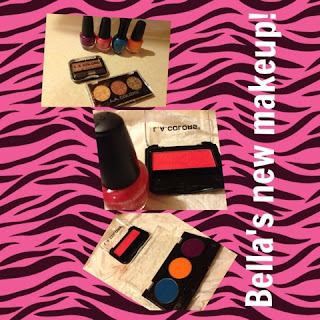 She is SO excited about having her own make up now for her purse!! Mom = win! Next on the list is a new trend, making a pretty lock screen for your phone. You can purchase and app to do this or you can do it on your own. I basically copied Robyn again, because she is the one who always has the cool ideas. 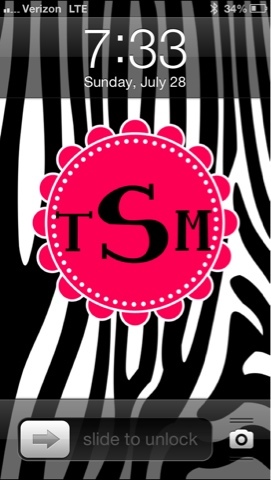 Her background is a pretty chevron design with her monogrammed initials. Mine is... Well... SO ME! 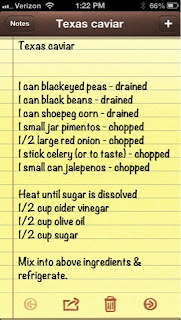 Last, is an awesome recipe I have to share with you all! Now I know some of you start school this week, but here in Connecticut we still have five more weeks of summer vacation left! My husband just finished summer school on Friday so now our real summer can start! 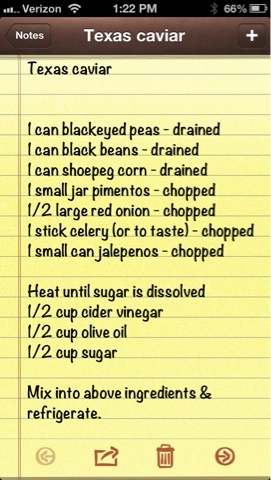 This is a recipe for a dip that is super refreshing and actually healthy! It is best eaten with Tostitos! 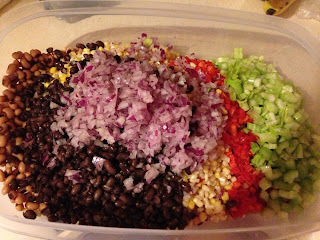 It's called Texas Caviar! 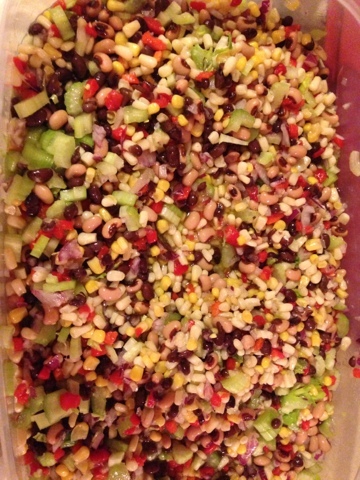 I bring it to picnics all the time and usually double the recipe because it is so good! I do leave out the jolopenos though! I was working in my classroom all day today and will be there Wednesday. Robyn and I have a ton of fun things to post to show you. So check back! Hi! I'm stopping by from Monday Made It! 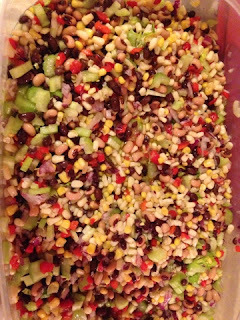 Texas Caviar has always been a favorite at every potluck lunch we have at school. Yummy stuff! Thanks for sharing!